One of our favorite restaurants in Fort Wayne is Saigon, an authentic Vietnamese restaurant located on S. Calhoun. Every summer, it closes for a month so the owners can travel to Vietnam to visit family. It never fails- at least once, we forget it’s closed, drive there, only to experience some major letdown when we realize our mistake at the sight of the darkened windows. How are we supposed to get our Pho fix now? 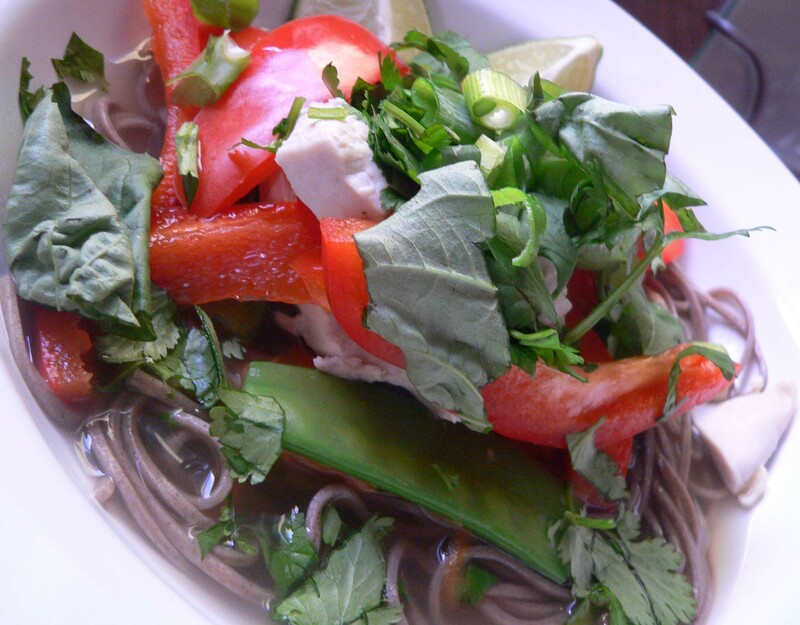 To tide us over, I did some searching and found a healthy Pho recipe. Though it is not authentic Pho (who has time to simmer beef or chicken bones for hours on end anyway? ), it is easy to make and is super tasty. 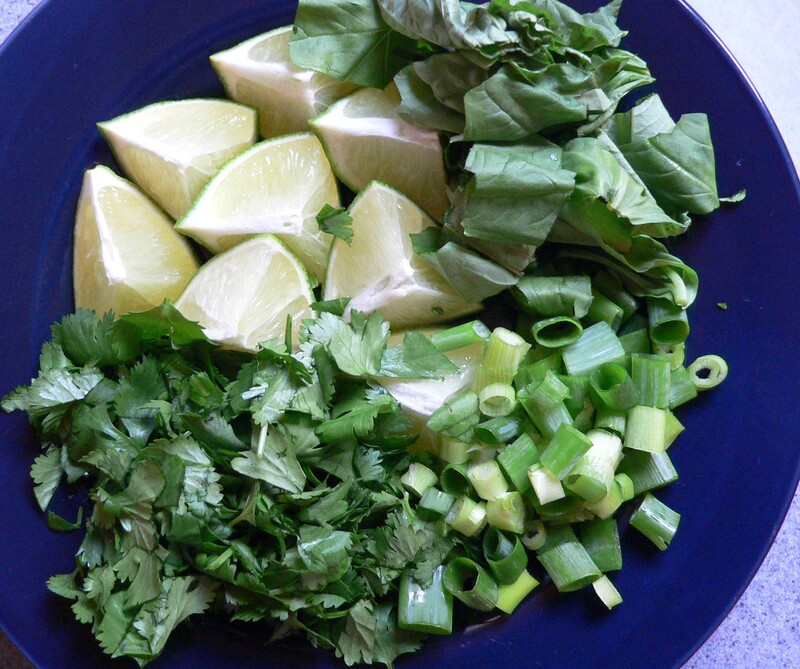 We especially love all of the fixin’s: fresh basil, cilantro, lime and scallions. And don’t forget the soy sauce and Sriracha. Total prep time was less than an hour. *I substituted Japanese Buckwheat Noodles for the rice noodles. Boil noodles in salted water for 3 minutes. 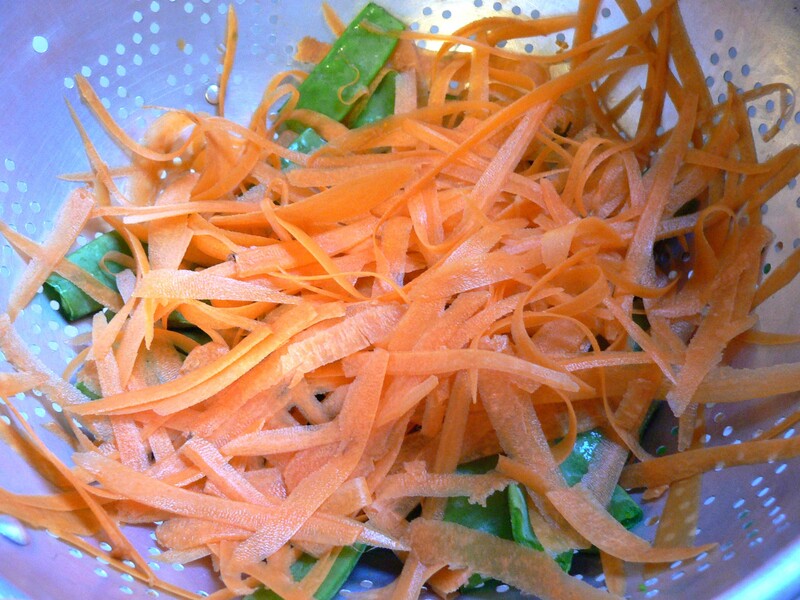 Place snowpeas and carrots in a colander; drain noodles over them; rinse; divide among 4 bowls. 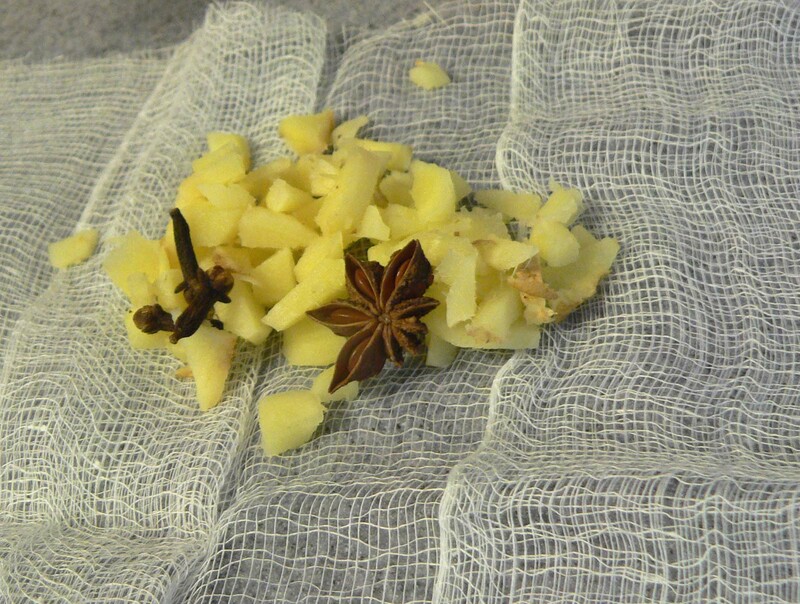 Tie a sachet of ginger, star anise and cloves in cheesecloth; place in a large pot with broth; boil 5 minutes. Reduce heat to medium; add chicken; simmer 5 minutes. Add bell pepper and lime juice. Season with salt. Remove sachet. Ladle into bowls; top with remaining ingredients.